Welcome to our Attachment Guide. Use the headings below to reveal the sections of the Guide, or scroll down for latest ACAMH events, blogs, journal articles, videos and podcasts relating to Attachment. Babies are born unable to keep themselves alive and rely on others to ensure they are fed, watered, kept at the right temperature and protected from harm. Day-to-day survival in the first few years of life requires the availability of another human being to ensure these needs are met. With later development, this need for others becomes less immediate, but never goes away. The disposition of an infant or young child to identify and interact with the person or small set of persons considered most likely to provide them with care and protection is known as attachment. The attachment is a universal system that all infants are born with the capacity to develop. It is a basic biological system that is also found in other animals. Its purpose is to keep the infant safe by signalling to the parent when they need them to come close to them and address one of their needs. The kinds of behavioural signals that you might expect to see when an infant’s attachment system is activated are: crying, calling for, reaching out to or crawling towards the carer: These are known as attachment behaviours. An attachment relationship refers to someone whom an infant preferentially shows attachment behaviour to. Children can have attachment relationships with more than one caregiver. The attachment system is what drives attachment behaviours and is especially activated when infants and children are frightened, ill or lacking a basic need. When this happens the system is triggered and kicked into action, causing the infant to seek out their carer. When the child no longer feels in danger, it goes quiet and other behavioural systems become more important, such as those for playing or exploring etc. The attachment system helps the individual develop a goal-based partnership with their carer; it enables them to choose what behaviours are going to get their attachment needs met and how their own behaviour effects the behaviour of others. This early learning about behaviour and interactions with others develops over time and can have consequences for the developing child and into adulthood. Generally speaking, the effects and longer-term consequences of attachment depend upon: the developing child’s environments, the quality of care they receive, other life events that happen, and how they make sense of their experiences along the way. It is important to note that what attachment means changes over the life course. As children become older, attachment becomes less about how they behave with their caregivers and more about what they think about themselves in relation to emotionally important people and the relationships they have with them. Attachment behaviours are most clearly seen and understood in infants and young children. Gradually, what individuals do becomes much less important than how they think, understand and speak about their experiences of care; what they have come to believe about themselves, their relationships and the world around them. In adulthood, attachment refers to a state of mind rather than a pattern of behaviour. In summary, attachment theory suggests early experiences shape, but do not determine, adult expectations about how our relationships will play out, the meaning and value of our own feelings, and the kinds of responses we might make to the availability and needs of others, especially those we are in close emotional relationships with. This page will outline what becomes of attachment as infants grow into children, adolescents and then adults, as well as some of the different ways terminology related to attachment is used. The expectations a young person will have about the availability of comfort from caregivers, and the kinds of attachment behaviour they show when distressed, are shaped by a variety of factors. These include a child’s temperament and the wider culture and context of a family. However, an especially important factor is the history of a young person’s experiences of how their caregiver responds when they are distressed. There are individual differences in the ways in which infants develop attachment, which are referred to as attachment patterns. Adult Attachment Interview for young people (aged 15 years and over) and their parents or carers. Three attachment patterns were originally described by Mary Ainsworth. These were initially based on her observations of infants and parents in Uganda and intensive longitudinal study of infants and mothers in Baltimore, USA. With her Baltimore sample, Ainsworth constructed an observational study in which the attachment behaviour of infants and toddlers was examined closely when faced with two brief separations and reunions with their caregiver in a novel environment. This is known as the Strange Situation Procedure. Remarkably, the three patterns identified by Ainsworth in Baltimore have been found all around the world. There are varying proportions of the patterns in different countries and contexts. However, the fact that the three patterns were found time and time again implied something very important. It suggested that the three patterns represented three fundamental strategies humans have available for regulating our feelings when dealing with distress. The first strategy is to communicate about distress to someone we have confidence in, with the anticipation of receiving help. This is the first of Ainsworth’s patterns of attachment. Indeed most infants use this approach, which is termed a secure attachment pattern of behaviour towards their caregiver. Most studies estimate this to be about 60-65% of babies in samples not exposed to major adversities. These babies are usually upset when their attachment system is stressed and so turn their attention to connecting with their caregiver, perhaps clearly reaching up for them or crawling towards them, and they are quickly comforted by closeness to them. Ainsworth described this behaviour as ‘secure’ because it indicated confidence in the availability of the caregiver; and her detailed observations of the home lives of these parents and children indicated that this confidence was founded on a history of relatively sensitive, responsive care. Yet Ainsworth also identified two further patterns of attachment, which represented strategies for handling distress in response to a history of much less sensitive, responsive care. For this reason, these patterns were termed ‘insecure’. The second strategy humans have for dealing with distress, according to Ainsworth, is to suppress and keep our attention away from both the source of distress and from potential comfort. In the Strange Situation, this strategy is known as the insecure-avoidant pattern. When infants with an insecure-avoidant pattern are stressed they minimise their attachment behaviour, averting their attention from the caregiver and towards the environment. Ainsworth’s home observations found that the infants who showed this behaviour in the Strange Situation had caregivers who regularly did not respond sensitively to signals of distress, whether through behaving intrusively or through rejecting behaviour towards the child. In fact, an infant’s display of distress tended to backfire in reducing the availability of their caregiver. Infants showing avoidant patterns of attachment behaviour are assumed to have learnt this as the best strategy for keeping the caregiver in close proximity, maximising the likelihood that they will meet their needs as and when they arise. In directing attention away from the source of distress and from the caregiver, the avoidant strategy tones down the attachment system itself, weakening its expression on emotion and behaviour. The third and final strategy proposed by Ainsworth as available to humans experiencing distress, is to compel the attention and help from someone not otherwise trusted to provide it. In the Strange Situation, this strategy is expressed as the pattern identified by Mary Ainsworth as the insecure-ambivalent/resistant pattern. Infants who show this pattern of behaviour usually display great distress when their attachment system is activated. They turn their full attention towards their caregivers, making strong bids for comfort from their carer; but when they receive comfort it does not seem to help them calm down. When reunited with their caregiver they may continue crying or show clear signs of being cross at the carer, perhaps throwing away a toy or even hitting him or her. A few of the ambivalent/resistant infants become very passive and helpless, so that their caregiver needs to be very closely involved with caring for them. Overall, the strategy insecure-ambivalent infants use is one of keeping feelings of distress at the forefront in the dynamics of the relationship, in order to compel the availability of their caregiver. The attachment system is not allowed to go quiet, rather it is maximised, remaining alert to signs of the unavailability of a caregiver in whom the child does not feel confidence. Ainsworth’s home observations indeed found that the caregivers of infants classified as ambivalent/resistant were inconsistent in their availability; so this strategy of maximising the signals to the attachment figure helps the carer keep the infant’s needs in mind. Attachment assessments of infants and young children assess the child in the relational dyad, not the individual child. It is quite common for a child to have one attachment pattern with one caregiver, and a different pattern with another. All three of these attachment patterns, including the two insecure ones, make sense. They are coherent, organised responses to the infant’s previous experience of the caregiver. It is not possible to detect attachment patterns by watching normal, everyday interactions between an infant and caregiver because the attachment system is not typically activated during these times; what is being observed in everyday interactions is the broader relationship between the child and caregiver, not the attachment pattern. To identify an infant’s attachment pattern, the attachment system needs to be activated by some kind of stress/threat and the reliable assessment of an attachment pattern can only be done through a validated measure like the Strange Situation Procedure. To reliably code the Strange Situation procedure, accredited training is required. A few years after Ainsworth’s study, Main and Solomon (1990) noticed some infants showed unusual behaviours in the presence of their caregivers that obscured the identification of the patterns mentioned above. Some of them looked confused or disoriented when their caregivers returned after a separation. Some made attempts to both approach and avoid their caregivers at the same time or in quick succession. Some looked frightened or engaged in repetitive, stereotypy behaviours. These behaviours were grouped together as a fourth, disorganised/disoriented attachment classification. It was theorised that they do not represent an additional strategy for emotion regulation in the manner of the Ainsworth patterns, but rather are stress behaviours that signal an infant’s conflict about approaching their caregiver for comfort. One antecedent of the disorganised attachment classification is child maltreatment. However, there are several other kinds of behaviour by non-maltreating caregivers that are associated with disorganised/disoriented attachment, many of which can be involuntary effects of a parent’s experience of trauma. A disorganised attachment pattern does not mean that the child has been maltreated. Research shows that infants showing disorganised attachment behaviour are more likely to be diagnosed with an externalising behavioural problem in childhood (e.g. attention-deficient/hyperactivity disorder or conduct disorder) (Fearon et al, 2010). Infant-caregiver relationships classified as disorganised/disoriented attachment behaviour is understood to signify a young child’s conflict about approaching their caregiver for comfort. Behaviours by a caregiver that alarm a child are likely to predispose disorganised/disoriented attachment relationships, since this will lead the child to experience conflict when wishing to approach the caregiver for comfort. Infant disorganised/disoriented attachment relationships are more common among infants who have been abused by their caregivers. However, there are other pathways as well. So by no means can it be assumed that all children showing this pattern of behaviour have been maltreated, nor does it mean that children who have been maltreated will always show this pattern of behaviour. Whether the components of disorganised/disoriented attachment (i.e., conflicted, disoriented and fearful behaviour towards a caregiver) all mean quite the same thing is presently unknown, but is currently being investigated. As above, to reliably identify disorganised/disorientated attachment, the infant must be observed to display many of these unusual behaviours in the structured setting of the Strange Situation Procedure. Accredited training is required to reliably code this assessment. Again, observations of everyday interactions with a caregiver are not sufficient. Children who showed secure patterns of attachment behaviour in infancy (compared to insecure or disorganised patterns of behaviour) are typically more socially competent with peers, better able to regulate their own emotions and control their behaviour; providing they continue to receive good quality care. Typically, children become more cognitively sophisticated to negotiate their needs and communicate them to their carers through language as well as behaviour. Therefore, even by 3 years of age the attachment system is already changing the way it works. Children also become more autonomous, beginning to apply the rules and learning from their primary relationships to other relationships, contexts and environments. With development, secure and insecure forms of attachment start to look different. Secure attachment in a six-year-old may be manifested by an easy and flexible capacity to communicate about distressing things with a caregiver, rather than a direct display of proximity-seeking as in infancy. Insecure forms of attachment also diversify, in ways shaped by cognitive maturation, culture and context, as well as the specific dynamics of the family. However, attachment theorists presume that the different and more developed forms of insecurity in later childhood are nonetheless built on the ground-plan of the patterns seen in the Strange Situation. Forms of insecure-avoidance will downplay attachment needs, and direct attention away from potential sources of distress. Though, when overwhelmed and the avoidant strategy breaks down, these infants may show poorly modulated forms of anger or unhappiness (Moss et al, 2004). Forms of insecure-ambivalence/resistance will intensify behaviours that keep the attention of the caregiver, with some drama always going on or threatening. Other non-normative forms of insecure attachment may also develop. These include the use of aggressive behaviour by the child to control a parent; or the use of solicitous, caregiving behaviour by the child to try to prop up their own caregiver. Some children will experience dramatic changes in who looks after them. Children who enter the care system, or who are adopted, may have experienced a disruption in their primary attachment relationship. Children respond to this in different ways. They may need help to begin to trust their new parents or carers as attachment figures. This takes time and the child may need lots of new positive experiences to begin to develop a new and robust attachment relationship. Depending on their early history, they may also keep an attachment relationship to their previous carers who remain important to them. The best support to help these children is being raised by sensitive parents in a stable home where their needs and signals about distress are noticed and responded to. New families may need some help to treat specific disorders, to free up the therapeutic potential of being parented in a new family. Other families may need some additional help with building the attachment relationship specifically, in terms of helping caregivers provide a “safe haven” that children can feel confident that they can go to and receive support when distressed, and knowing how to respond to expectations and behaviours a child may bring to this new relationship from their past experience. There is evidence that respite, as part of an overall parent training and support package, is effective with looked-after children who have previously been traumatised. It can reduce the likelihood of a placement being disrupted and placement stability can potentially increase attachment security (NICE, 2015). Attachment is just one factor influencing development and is subject to change depending on changes in the individual and family environment. The quality of care continues to be very important across development, and this is one of the reasons why stable and responsive adoption or fostering arrangements can have such a positive impact on attachment quality. For children placed into foster care, who can stay in a stable placement, research shows that the attachment security to their foster carers is similar to typically brought up children, suggesting that children have the capacity to form new trusting attachment relationships despite early adversity (NICE, 2015). 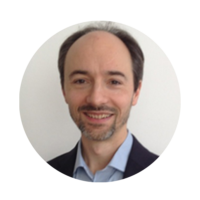 Psychiatric diagnostic systems recognise two types of rare disorders that manifest in early childhood in which the attachment system has failed to develop properly. These are to be firmly distinguished from insecure and disorganised/disoriented attachment. Both forms of attachment disorder can only be assigned by clinicians to children who meet the diagnostic criteria before the age of five years and after nine months of age (i.e., when an attachment has usually formed) under current ICD-10 guidelines. The ICD-10 describes a Reactive Attachment Disorder (RAD) (WHO, 2016). The infant’s attachment system appears inhibited, as if the system has not had the opportunity to grow. In situations in which the attachment system might be expected to be active, these children will not show attachment behaviours, such as seeking comfort when distressed. The ICD-10 also describes a Disinhibited Attachment Disorder (DAD) in which the infant’s attachment system has failed to develop specificity. The infant seeks comfort from a range of carers, including strangers. These infants may rush up to unfamiliar adults to seek proximity and contact and show little fear separating from their primary carer. This type of disorder is strongly related to children raised in institutions or who have had a very large number of changes in carers over a short period. Zeanah et al. (2016, p. 992) have recently questioned whether Disinhibited Attachment Disorder should be considered an “attachment” disorder at all, as it “may occur in the absence of attachment, in an aberrant attachment or in a healthy attachment to a subsequent foster or adoptive parent”. Indeed, the DSM-5 classification system takes this new research into account and has added a new disorder, without attachment in its name, Disinhibited Social Engagement Disorder (DSED) to replace the idea of disinhibited attachment. Both RAD and DAD are difficult to diagnose and it is not clear how common they are, but they are typically thought to be rare (less than 1%; Moran, 2017), and almost non-existent outside of institutionalised care or significant maltreatment. Expert assessments by a specialist team, including observing the infant or young child’s behaviour across different contexts, with attachment figures and unfamiliar adults, are recommended to make reliable diagnoses of RAD/DAD. To meet diagnostic criteria for an attachment disorder, it is never enough that an infant has had a very poor upbringing or been raised in a family with maltreatment or mental health problems. Research recommends that when discussing or reporting attachment disorders these should always be specified as RAD or DAD/DSED (and never as generic attachment problems or attachment disorder) because the origins, presentation and outcomes differ so markedly between RAD and DAD/DSED, to ensure that the child’s difficulties are accurately communicated and the most suitable treatment can be identified (Woolgar & Baldock, 2015). The most important intervention for young children diagnosed with RAD or DAD is ensuring that they are provided with an emotionally available attachment figure (Zeanah, Chesher & Boris, 2016, p.999). In fact, placement stability with sensitive carers leads to the spontaneous recovery of RAD, without the need for psychological intervention. Clinicians should not administer interventions designed to enhance attachment that involve non-contingent physical restraint or coercion, or promotion of regression because they have no empirical support and have been associated with significant harm (Zeanah, Chesher & Boris, 2016, p.1000). 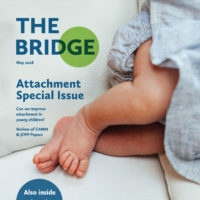 The NICE Guidance outlines the appropriate treatments to consider, based on the best evidence-supported approaches for benefitting families with insecure and disorganised attachment relationships, including Video-feedback Intervention to promote Positive Parenting and Sensitive Discipline (VIPP-SD); the Attachment and Bio-behavioural Catch-up (ABC) program and Parent Child Psychotherapy. Attachment insecurity and disorganisation are not disorders, but they may be risk factors for later life problems. 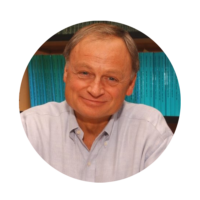 There are only two psychiatric attachment disorders associated with pathology of the attachment system and these are rare. For young children with a history of foster care, adoption, or institutional rearing, clinicians should inquire routinely about a) whether the child demonstrates attachment behaviours and b) whether the child is reticent with strangers (Zeanah, Chesher & Boris, 2016, p.996). If someone describes a child as having ‘attachment problems’ it is essential to ask them to explain what they mean in everyday language (e.g., what they observe happening with the caregiver and strangers, in situations when the attachment system is likely to be active, such as during separations and reunions) and what help they think the child needs as a result. Other problems (such as challenging behaviour or anxiety) may be seen in the child’s attachment relationships, e.g., with their primary caregivers, but which are not about dysfunction within their attachment system, and so may be more helpfully understood as other, more common disorders to ensure evidence-based treatments are accessed without delay. There are some established interventions that target attachment insecurity and disorganisation discussed by NICE and Zeanah, Chesher & Boris (2016). Psychopharmacological interventions are not indicated for the core features of RAD or DSED (Zeanah, Chesher & Boris, 2016, p.1000). Individual psychotherapy is of uncertain value. 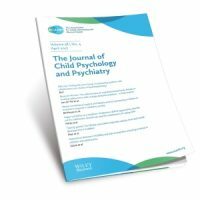 Although the use of creative and non-directive therapies is a popular intervention, there is no evidence that any form of individual therapy done with primary school-age children works (NICE, 2016). Researchers know less about attachment in adolescence than infancy. For example, it is unclear what, if at all, attachment disorders could look like in adolescence, or indeed how these problems may play out or persist as children grow up. This period of life sees teenagers experimenting with new experiences and developing independence from their parents. They are significantly less reliant on other people to meet their basic survival needs, and there are significant changes in what good quality care for them looks like during this time. Therefore it is unclear how much attachment behaviour (i.e. seeking out comfort from a caregiver in times of stress) is a helpful construct; typically adolescents are more likely to seek comfort and emotional support from peers, although these are not considered to be attachment relationships, than when they were younger. The onset of most mental health problems is in adolescence, but for many young people there will have been some emerging difficulties earlier on. Therefore, if attachment disorders were evident in childhood, and in the absence of successful intervention, these adolescents may continue to have problems with relationships, potentially contributing to the development of other mental health and social problems. But even for children without frank attachment disorders, the quality of their early attachment relationships are likely to leave a legacy for the development of later problems. Specifically, some adolescents may experience anxiety and depression, which may be a result of on-going, sub-optimal experiences of care, or are perhaps linked to difficulties in expressing emotions in ways that elicit sensitive and comforting responses from others. Research is on-going to help us understand the clinical implications of the developmental course of attachment through later childhood, into the teenage years and into adulthood (e.g., Allen & Tan, 2016). We do not know as much about what attachment means in adolescence as we do in infancy and early childhood. It is unclear how helpful diagnostic attachment labels are for this period of life and interventions that benefit individuals during this time are usually those identified by other problems that arise. Children who had extremely difficult starts in life, including within their attachment relationships, are at higher risk of developing other mental health and social problems; particularly if their environments do not significantly improve or they encounter more stresses or traumas during this period of life. It is widely recognised that addressing problems in older children and adolescents who have experienced highly disrupted care is important, and should undergo the equivalent level of comprehensive clinical assessment to identify difficulties that may require evidence-based treatments. Fearon, R.P., Bakermans-Kranenburg, M.J., van Ijzendoorn, M.H., Lapsley, A.M. & Roisman, G.I. (2010). The significance of insecure-attachment and disorganization in the development of children’s externalizing behavior: a meta-analytic study. Moss, E., Cyr, C., & Dubois-Comtois, K. (2004). 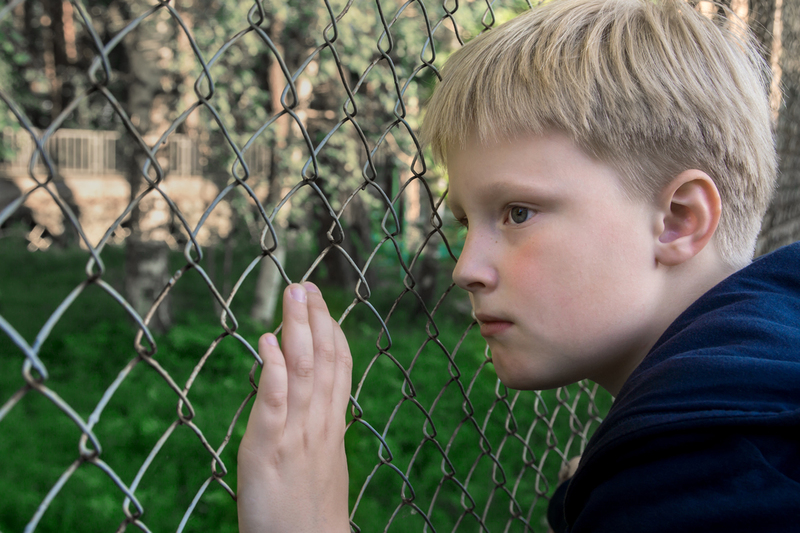 Attachment at early school age and developmental risk: Examining family contexts and behavior problems of controlling-caregiving, controlling-punitive, and behaviorally disorganized children. Developmental psychology, 40(4), 519-531. Woolgar M, Baldock, E. (2015). Attachment disorders versus more common problems in looked after and adopted children: comparing community and expert assessments. Child and Adolescent Mental Health, 20(1), 34-40. Bowlby J. (1973) Attachment and Loss, Volume 2: Separation: Anxiety and Anger. London: Hogarth Press and Institute of Psycho-Analysis. Solomon, J. & George, C. (2011). Disorganized Attachment and Caregiving. New York, NY: Guilford Press. Zeanah, C.H., Chesher, T. & Boris, N.W. (2016). Practice Parameter for the Assessment and Treatment of Children and Adolescents with Reactive Attachment Disorder and Disinhibited Social Engagement Disorder. Journal of the American Academy of Child and Adolescent Psychiatry, 55(11), 990-1003.